If you have little kids like we do, you know how hard it is to keep your car clean. It’s a never ending struggle of smudges on the car windows, stale chicken nuggets stuffed between the car seats, the dirt, skittles, old sippy cups, and all the treasures you find when you venture to the back seat. It drives my husband crazy! 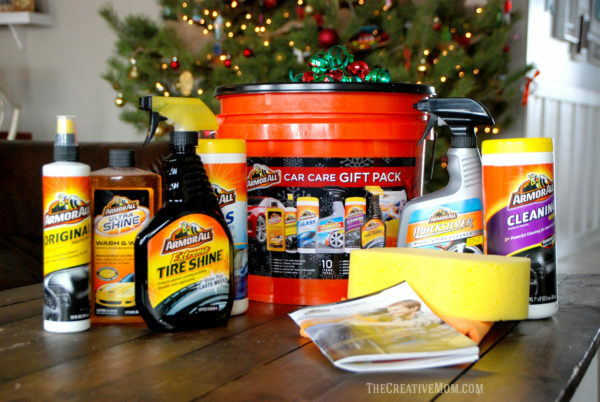 So this year my kids are giving their Dad this Armor All Car Care Gift Pack for Christmas, with a promise to help clean the car. I think he’s going to love it! I swear we spend a ton of money going to the car wash, and half the time our car doesn’t even look any cleaner when we get done. Plus, I want my kids to learn how to take care of their things, including the disaster we call our car! So having them give this to their dad will be great, because they’ll get to work together to take care of our car. 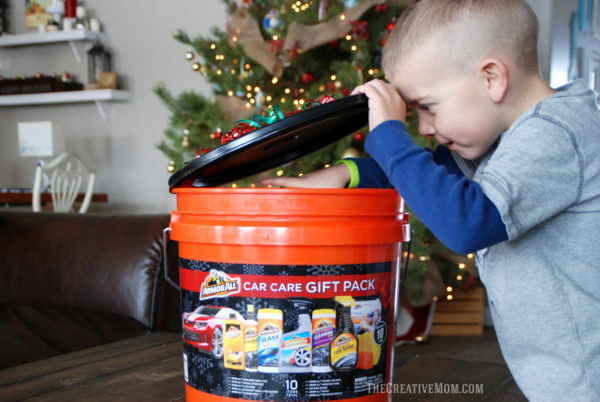 Honestly, I’m not 100% sure what my husband wants or needs to clean the car, so I love that I can just give him this bucket with everything already inside that he’ll need to keep the cars clean- I mean that our kids will need to keep the car clean, right? Ha! 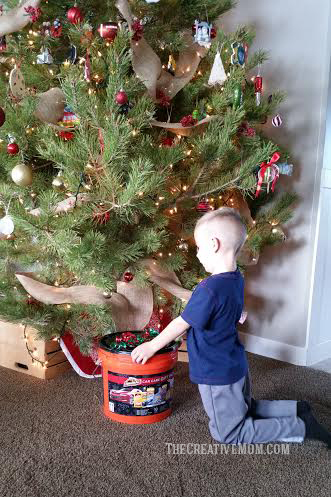 When he’s done cleaning the car, he can keep everything inside of this bucket and it won’t take up a ton of room in our garage- which is a huge plus! 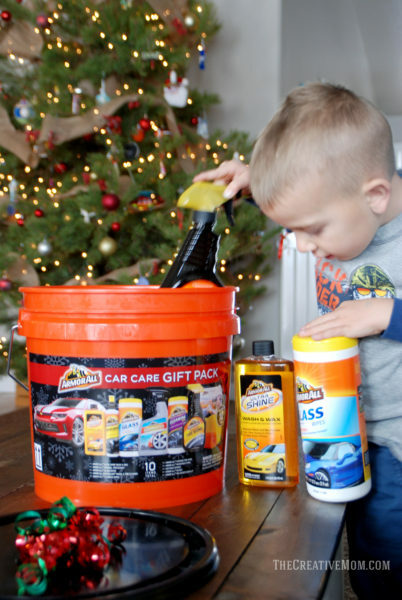 And besides coming with all of the Armor All cleaning products he’ll need, this bucket also includes a Pro Secrets Booklet that has a coupon value of up to $13 off of Armor All products. So he can restock and refill his bucket if he runs out of something. 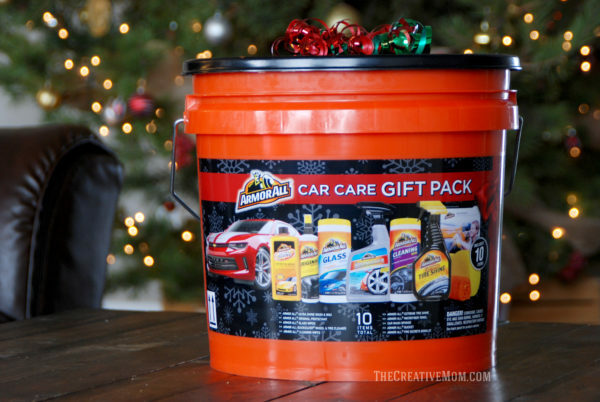 I found the Armor All Car Care Gift Pack at Walmart in the Automotive Center, and right now you can take advantage of the $3 off digital coupon offer for the Armor All Car Care Gift Pack from Walmart, while supplies last!